Seven Month Baby Girls Shoulder Joints Being Manipulated By Osteopathic Or Chiropractic Manual Therapist In A Pediatric Clinic. 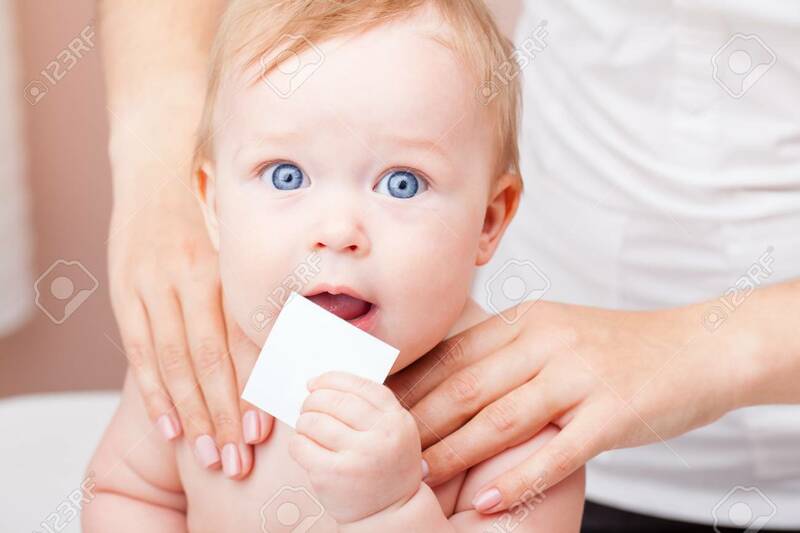 Child Is Holding Blank Card In Hand Looking At Camera Lizenzfreie Fotos, Bilder Und Stock Fotografie. Image 118202168.